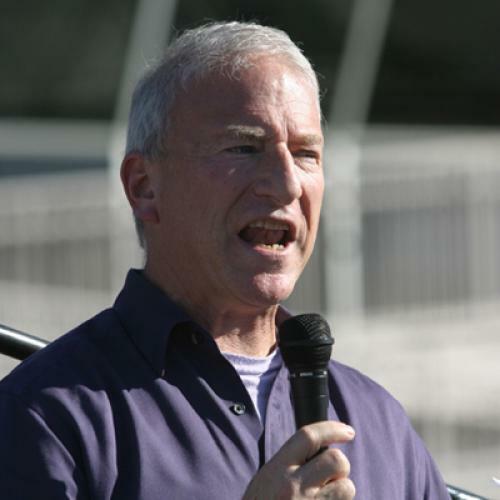 Andy Stern's departure is another sign of the labor movement's decline. There will be a mixed reaction to Andy Stern’s forthcoming resignation as the head of the Service Employees International Union (SEIU). Many in the labor movement, even inside SEIU, will rejoice that he is out. But many friends of the labor movement like myself, who share its ideals but don’t have to live with its daily travail, will regard Stern’s departure with foreboding—as another step downward in labor’s descent. During the last decade, Stern, who took the helm of SEIU in 1996, burnt many of his bridges inside the labor movement. In the early 2000s, SEIU was involved in bitter jurisdictional disputes with the American Federation of State, County and Municipal Employees (AFSCME) over how to organize public-sector workers. These were the kinds of disputes that the AFL-CIO—the umbrella organization which contained both the SEIU and AFSCME—had been created, in part, to eliminate. Then came the split within the AFL-CIO. In 2005, Stern took his union and four others out of the AFL-CIO into Change to Win, a new labor federation. Stern and his chief theoretician, Stephen Lerner, compared the current plight of the labor movement with that of the labor movement of the early '30s. “The labor movement is at a point today that has similarities to the early 1930s, when union workers were a small minority in an economy dominated by the emergence of huge industrial corporations,” Lerner wrote in an influential manifesto. Stern proposed to do for today’s movement what United Mine Workers head John L. Lewis had done for the movement of the 1930s. In 1935, Lewis had taken his union out of the floundering American Federation of Labor (AFL) to form the Congress of Industrial Organizations (CIO), which in a few years succeeded in organizing many of the industrial workers that the AFL had spurned. Stern wanted to do the same through Change to Win. But under the leadership of Stern’s lieutenant, Anna Burger, Change to Win has enjoyed little success. And the split in 2005 looks in retrospect merely to have been another symptom of the labor movement’s decline rather than a sign of its awakening. More recently, Stern has been involved in jurisdictional disputes within his own union and within Change to Win’s unions. These disputes have left some of his own members and staff questioning his leadership. As my colleague Bradford Plumer described in The New Republic, Stern attempted to build a home-care workers union in California at the expense of the membership of an existing and successful SEIU local, the United Healthcare Workers. Stern eventually put the local under trusteeship, but rather than complying with his dictate, the local’s leadership, enraged by the move, broke away and organized an independent union that drew members away from the United Healthcare Workers. Stern also intervened in a dispute that was roiling UNITE HERE, a union within the SEIU that had itself been formed out of two very different unions. UNITE HERE had been created in 2004 by the merger of HERE, which under John Wilhelm was organizing workers in hotels and food services, and UNITE, which under Bruce Raynor organized textile and apparel workers. HERE brought to the partnership a reputation for organizing, while UNITE brought along a dwindling membership but formidable financial resources, including a bank. When Wilhelm and Raynor quarreled over organizing, Stern allied himself with Raynor. He brought Raynor and his members into the SEIU, and according to Wilhelm, threatened to take his jurisdiction and assets. Wilhelm, meanwhile, took what remained of UNITE HERE back into the AFL-CIO. For Stern’s critics, the disputes over United Healthcare Workers and UNITE HERE confirmed their worst opinions of his leadership. He was a “raider” out to enhance his own power and fill his union’s declining coffers. He had not revived the labor movement. Instead, he had undermined it. But, of course, there is another side to the story. For all his faults, Stern was one of the few union leaders of the last two decades who worried and actually did something about arresting the labor movement’s decline. SEIU’s membership increased by 50 percent during his tenure. And while some of those new members were acquired by taking over other unions, a great many were not. No other American union enjoyed this kind of boost in membership. Within the AFL-CIO, only AFSCME and the American Federation of Teachers—both of whom organize public employees—enjoyed any increase at all. Most of what Stern did, and most of what he did wrong, stemmed from his own view of how to rebuild the labor movement. As Bill Fletcher Jr. and Nelson Lichtenstein pointed out in an article in In These Times that is highly critical of Stern, part of what he did in the battle over the United Healthcare Workers simply reflected his view that all home-care workers should be organized together in a single statewide local, so that they would gain greater bargaining power relative to being organized along with nurses or doctors. The conflict between Raynor and Wilhelm also seems to have originally been over a theory of organizing—with Raynor backing Stern’s idea that the most important thing is to get an employer to sign a contract, even if it’s a lousy one. Stern’s theories might have been wrong, but at least he had a theory and acted upon it. The same cannot be said of many other union leaders and of the AFL-CIO leadership. There are still innovative leaders inside the labor movement—such as Larry Cohen of the Communications Workers of America—but they are outnumbered by leaders who are primarily concerned with managing the decline of their membership. Stern also had considerable impact on public policy. As my colleague Jonathan Cohn will attest, Stern deserves considerable credit for the passage this year of national health care reform. During the 2008 campaign, Stern and the SEIU locals made health care reform a litmus test for Democratic candidates. After Barack Obama took office, Stern pushed the administration to get Congress to enact it, and he remained the bill’s most enthusiastic and vigorous supporter even when it looked as though it might go down to defeat. Stern’s legacy is somewhat like that of John L. Lewis, but not in a way that Stern or Lerner imagined. Lewis revived his own union in the '30s, as well as the labor movement itself, by organizing the CIO. But he was also a contentious man who brooked no opposition within his union. After the 1936 election, he erratically veered to the left and then the right. He backed Wendell Willkie over Franklin Roosevelt in 1940. He quit the CIO that year. He rejoined and then again left the AFL. He was a rugged individualist who dreamed of creating a new cooperative movement, but whose insistence on doing things his way or not at all finally undid his best intentions. Does that sound familiar?